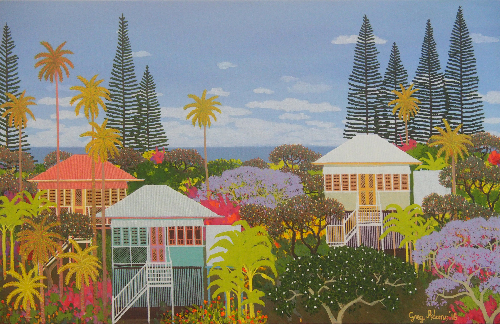 Greg Adams was born in Melbourne in 1949. 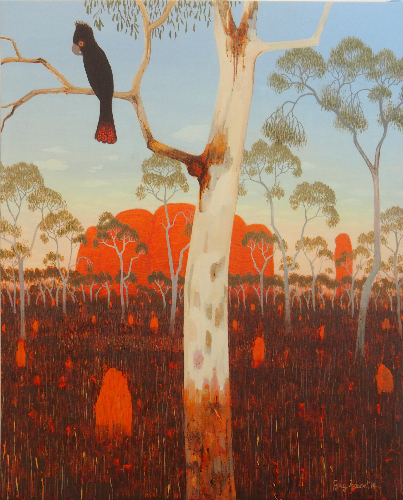 His first visit to Queensland as an impressionable lad of thirteen had such an impact on him that he still draws on these early memories when creating his paintings. The timber houses on stilts were exotic and fascinating to him. The warmth of the seas, the blue of the sky and the sweet smell of ripe pineapples are vivid memories. Greg attended the National Gallery Art School between 1967 and 1969. 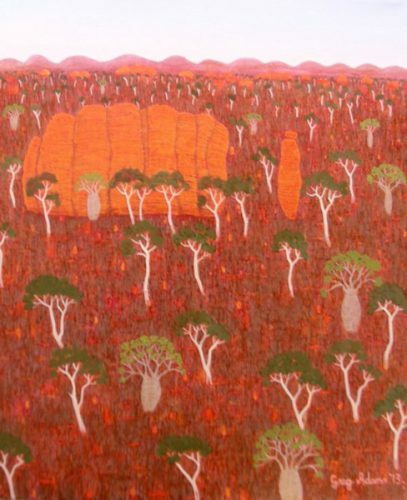 In the early seventies, he travelled and painted in England and Europe before moving to Queensland for the first time in 1974. 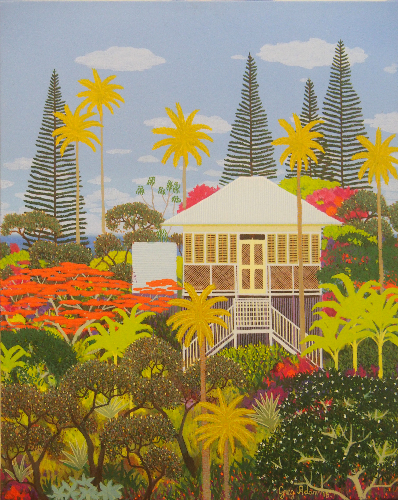 For eighteen months, he lived in a rainforest valley near Port Douglas where the Poinciana’s erupt into brilliant orange/red blooms each spring. 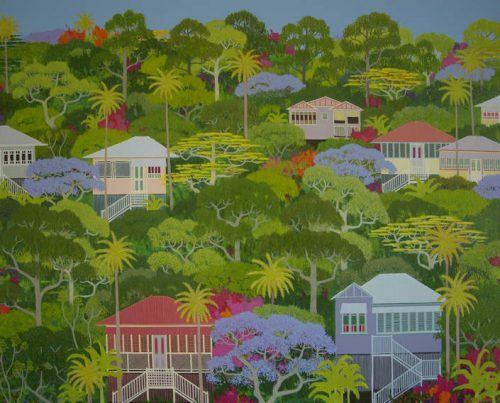 An indelible image of this lush, tropical landscape is firmly etched into Greg’s psyche. 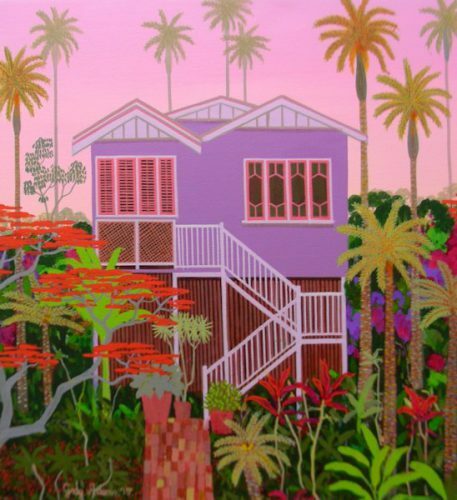 Balconies and verandas where so much of his time was spent, a rug, a cane chair and various cups and bowls which travelled with him, are other recurring images in Greg’s paintings. The element of naivety in Greg’s work is deliberate. He paints entirely from memory. 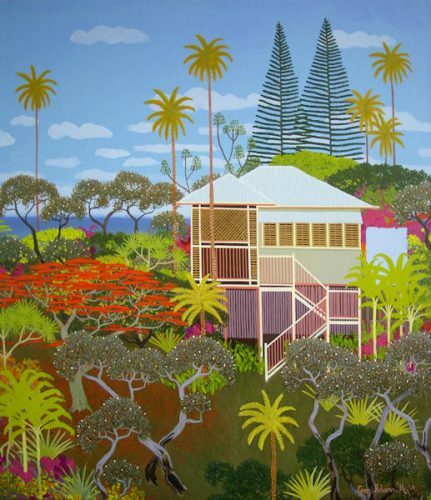 His preferred medium is acrylic on canvas and he refers to his style as “formalised realism”.